Florist Directory Call any of our Florists listings for local and international Flower delivery enquiries. You can order quickly and safely online or call to place your order. Your call will be answered by one of our friendly florists who will happily assist you with any advice you need in order to arrange the most suitable flowers for your budget and occasion. Be Confident that your flowers will be lovingly arranged by your area's finest local florist. All of our florist listed bring a wealth of experience and knowledge, and a long list of hundreds of happy customers. Florist have to have a special ability to understand exactly what the customer needs, and has extensive experience in a diverse range of styles and occasions ensuring total customer satisfaction. If you're looking for flowers for a special occasion; mother's day, father's day, birth, valantines day, anniversary, birthday, congratulations, sorry, thank you, wedding arrangement or just because, search our directory for the all your florist needs. Our Florist Directory aims to service your flower order today in a timely, and professional manner. Specialising on the Gold Coast and Northern NSW we also provide listings right across Australia just search our directory for the best and most local to you! 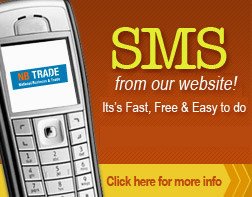 Email or SMS straight from our listing for a prompt service or inquiry.